Forest Hill on the Green offers easy access to all the man-made amenities that have transformed Richmond Hill and imbued the town with big city sophistication. You will enjoy shopping at Hillcrest Mall. 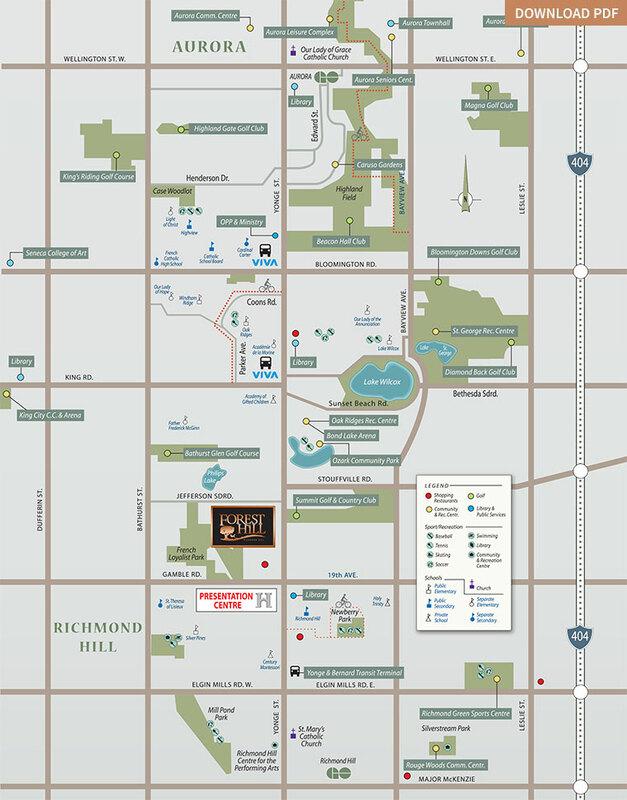 Culture and entertainment at the Richmond Hill Centre for the Performing Arts. Restaurants from fine dining to casual, offering international cuisine of every description. The area boasts excellent schools. Community and recreation centres, including the Wave Pool. Numerous private and public golf courses. All with easy access to public transit, Highway 404 and other major thoroughfares.